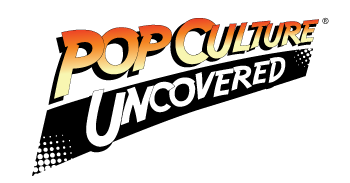 Home » PCU Zeitgeist » Cosplay Life » Cosplayer of the Month: Shady Haze! Cosplayer of the Month: Shady Haze! First name and last Initial: Hazel-Lovely S., but I go by Shady Haze! Where are you from originally or reside currently? I am from Arlington, VA, but I live in Alexandria, VA now. Other Characters cosplayed: Nightwing, Ladypool, Kakashi Sensei, Scarlet Spider, Silver Surfer, Catwoman and Cyclops. Who or what inspired you to cosplay? I went to Awesome Con last year (2017) for free with my sister and my friend Mike. I went because I won free 3-day passes at a Pokemon Go tour. My goal was to vlog the con and once I met people and saw that people were cosplaying, I thought “hey! I want to cosplay!”. One of my influences was my friend Mike (@spideyspice) who encouraged me to cosplay. My biggest influence was Shawn (@dynamitewebber). He inspired me to get artsy and build things. I’m an artist myself so cosplaying is another way to express my artistry. When are you not cosplaying, what else do you do and what are your hobbies? When I’m not cosplaying, I work #adulting haha. I work in social media and cosplaying is work, but fun work! Although cosplaying is a “hobby” I try to go beyond the basics. I want to make it a career if possible. My adulting consists of education, working in nonprofits and working in social media management, which I LOVE. I love social media so being able to work in it and cosplay is a great balance. What costumes have provided the biggest challenge and rewards so far and why? My nightwing! I ordered the base suit and I started puff painting 80% of the suit. An idea I got from Shawn to do. It gives the suit a realistic look and worth it (even with hand cramps!) 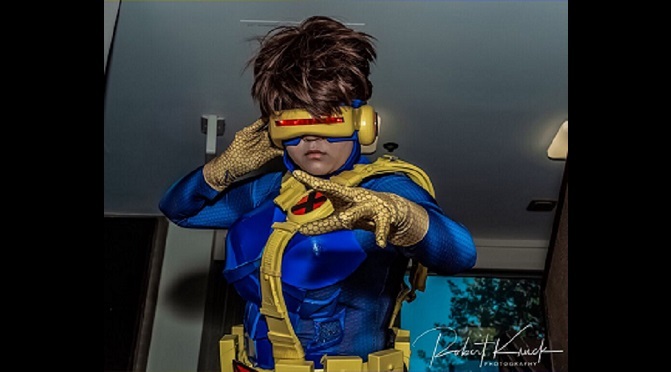 Now, Cyclops is a cosplay a lot of people enjoy. We don’t see a lot of cosplayers cosplaying Cyclops, especially with workable LED visors. I get compliments with my creativity in foam making. I make my own stuff! What is one big piece of advice you would give to a new cosplayer? Be yourself and do it for you. Cosplay characters YOU want, not what others want. Cosplaying is expensive so choose characters you love. You don’t want to spend money on a cosplay because that’s what someone tells you to do. And be yourself, I encourage you all to just be calm and make friends in a nice way. We’re all in the community and we’ll meet one another, some day. You don’t need to do anything drastic just to meet a certain cosplayer and you don’t need to do things you feel uncomfortable with. Just be you! What is one thing the cosplaying community can do better when it comes to dealing with each other? Kindness. I think some cosplayers get bullied or bully others. WHY? What do bullies get out of this? I am so confused in why people body shame others or discriminates. We’re all here to have fun. Don’t be rude to others. If someone is being irritable then have a conversation. At the end of the day, I’ve see the positivity in the cosplay community. I haven’t had issues with the DMV community. We all have to encourage each other and be respectful. Those who need advice will be respected, but those who ask for advice consistently and are aggressive need to be respectful too. Have fun and be kind!